Presidents Day is more than a day off and a time for big sales. It is a federal holiday established to honor all American presidents and has a story that dates back to the 1800s. Presidents Day is always celebrated on the third Monday in February, which in 2019, is February 18. Did you know? Presidents Day is actually not the official name of the February holiday. 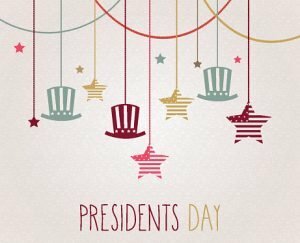 Here are five interesting facts about Presidents Day – including the fact that Presidents Day is actually not the official name of the holiday! Presidents Day, first known as Washington’s Birthday, was established in 1885 to recognize President George Washington. The day was originally celebrated on President Washington’s actual birthday, February 22. It was an unofficial day of remembrance from 1800, the year following his death, until 1879 when it became a federal holiday in the District of Columbia. In 1885, the rest of the country began to acknowledge the day. The official date of Washington’s Birthday holiday was changed in 1971 as part of the Uniform Monday Holiday Act. The act shifted the dates of some federal holidays to Mondays in order to create more three-day weekends. Some lawmakers and labor unions felt this would reduce employee absenteeism and increase retail sales, e.g. a reason to have “Presidents Day sales.” The act also expanded the holiday to acknowledge President Abraham Lincoln’s birthday (February 12) as well. Today Presidents Day is seen as a day to remember every American president. However, the day, according to the federal government, is still officially, Washington’s Birthday, not Presidents Day. No American president has had a birthday that actually falls on Presidents Day. Washington’s farewell address is read in the United States Senate on every February 22. Visit the U.S. Senate website to read the entire address. All of us at Omni hope you have a wonderful Presidents Day celebrating the leaders of our country.